It is necessary to gain images from a legitimate resource; if you are caught with unlicensed images on your website then original creators of images can ask you to remove the images or to face legal actions. To prevent this situation you either pay for the images at websites like Fotolia, Shutterstock, iStockPhoto etc OR use images which are free under creative commons license. You can go to Flicker to get images which are under creative commons license. Image optimization should be perform to get utmost results of SEO Services. After downloading the image file, you need to resize the image to improve your webpage’s speed; this will improve on-site image optimization of that webpage. You need to resize the image according to webpage’s need in a appropriate size. It is a best practice to save image by using targeted keywords, it does help in SEO as well as ease our work to find them at server with the keyword. For example “ldhgfk461316.jpg” is not an appropriate naming for an image; instead you can name it by a desired keyword. It is human tendency to look at image first in a post, so in the very first chance when a user comes to see image we can provide him/her the brief description of image. After naming images we need to optimize ALT and title tags associated with picture, according to SEO it is a best practices. Remember, search engine doesn’t crawl images it does crawl its ALT tag. 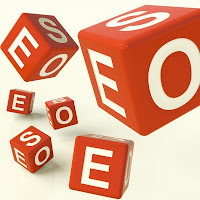 Performing this whole process won’t take much of your time; in the end it will give you great SEO benefit.